Car-Chem Tyre & Trim Dress is our last stage protection for your tyres. 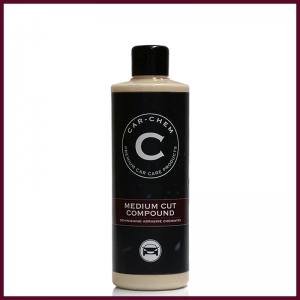 A must have for any detailer; professional and beginner alike. 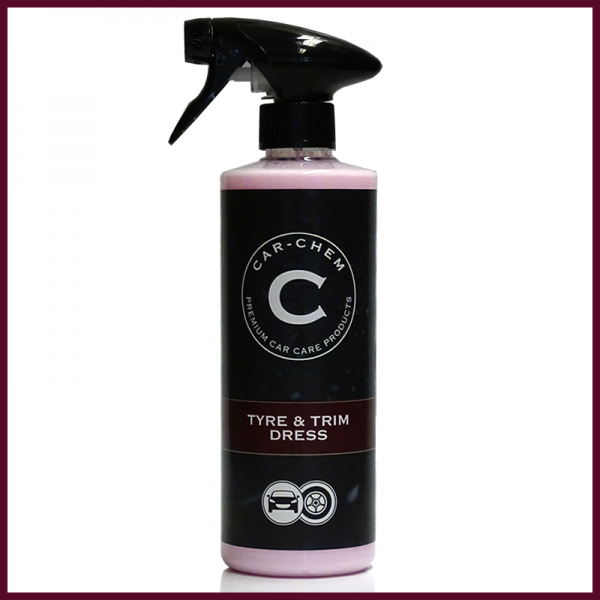 Not only does it provide the perfect finish to all tyres, plastics and rubber trims, our tyre & trim dressing leaves behind a protective barrier that is resistant to road debris. Specially formulated to be fast drying so you can get going again quickly without any dreaded sling. Clean, rinse and dry the surface prior to dressing. Lightly spray the required surface and wipe over with an applicator or clean, lint-free microfibre cloth. Layer to achieve a higher gloss finish. If you are working in windy conditions, you can apply the product using an applicator to prevent overspray on to your paintwork. For ongoing protection, apply Car-Chem Tyre & Trim Dress after every vehicle wash.